Shawn joined Gift CPAs in 2000 and serves as a small business consultant, helping clients with both every day and long-term financial issues. 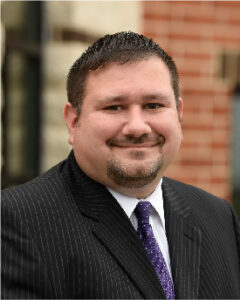 He enjoys providing strategic advice throughout the year to help clients minimize their tax obligations. Shawn is a dedicated learner, always seeking knowledge that will benefit his clients. He is a member of the Pennsylvania Institute for Certified Public Accountants (PICPA). Shawn is an Army veteran who was awarded a Purple Heart for wounds received in combat. He is a military history buff and a skilled marksman. He is also a self-proclaimed comic book geek who enjoys spending time with his son, riding his Harley, and kayaking.